You´re here: Home » How to use LinkCard with your old link QR code? Why do you need these tags? Many LinkCard users have created, printed and distributed thousands of QR codes containing the link of their websites. Even though the LinkCard system offers a more sophisticated way of using QR codes, they find it difficult and costly to switch to the new system. linkcard-card-id: the value of this tag is the unique identifier of your LinkCard Card. This identifier is generated during the creation of your card and start with LK. Please remove the LK when setting the meta tag value. linkcard-card-name: this tag contains the name to display on your card. I.e. Jean Jacques Bodo. This tag is optional but strongly recommended. linkcard-card-phone: you may provide your main phone number using this meta tag. This tag is also optional but it is recommended to provide a value. By using the LinkCard meta tags on your website, you can benefits from LinkCard features when users scan your QR code with “ScanPro LinkCard” mobile application. The LinkCard functionality will be available on your existing QR codes, no need for a reprint or replacement. Furthermore, users using other simple QR reader mobile applications will be able to read the link of your website. Figure1 shows how LinkCard meta tags are used for linkcard.co.com website. Figure 3 and 4 show the results of the scan with "Quick Scan" and “ScanPro LinkCard” mobile applications respectively. Let your users know about LinkCard to access more information. 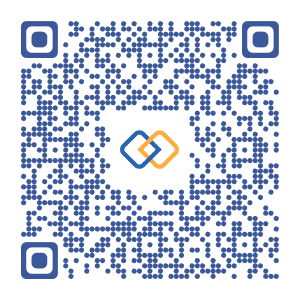 When printing or distributing your new QR codes with LinkCard meta tags, you may append an indication for scanning with ScanPro LinkCard mobile application (I.e. Scan with ScanPro LinkCard app to stay in touch). Doing so, you ensure that your customers take advantage of great features provided by LinkCard mobile application and create a durable connection with them. Please feel free to contact us using the contact form to get any help with the creation of your LinkCard and the usage of the new meta tags.